22nd to 28th January 2019 is Village Halls Week - it's time to celebrate all the good things that happen in these places! Heritage Lottery Fund’s Grants for Places of Worship will close on Fri 1st September. Mortgage style loans of £150,000 - £500,000 over 10 – 20 years are available to assist registered charities and not for profit organisations acquire buildings or working capital for restoration projects. LEADER is a ‘bottom-up’ local community based approach to spending the European Rural Development Programme Fund in England. A range of grants are available from the Heritage Lottery Fund. several grants are available from the Heritage Lottery Fund. 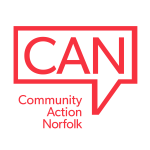 Norfolk County Council have published their contract register, which lists the council’s contracts, purchase orders and grants (including grants to the voluntary sector). The Norfolk Community Directory contains activities, services and events to help all Norfolk residents live healthy, active and fulfilling lives. Understanding local history and heritage is, and always has been, important to communities. The aim of Preserving Place is to investigate how community groups undertake heritage research – and help them do just that.